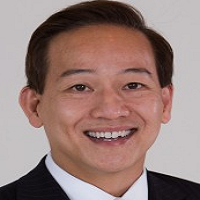 Dr. Bach Le completed his specialty training in Oral & Maxillofacial Surgery at Oregon Health Sciences University. He is currently Clinical Associate Professor of Oral & Maxillofacial Surgery at the Herman Ostrow School of Dentistry at USC where he has been an active faculty member since 2000. Dr. Le has lectured internationally on bone regeneration and dental implant-related surgery and has taught on six continents around the world.